1) The heat allows desired hair product to penetrate the hair follicles more efficiently, leaving hair feeling noticeably softer and healthier after just one use. The gel cap will distribute product to all of the hair follicles for effective diffusion of nutrients. 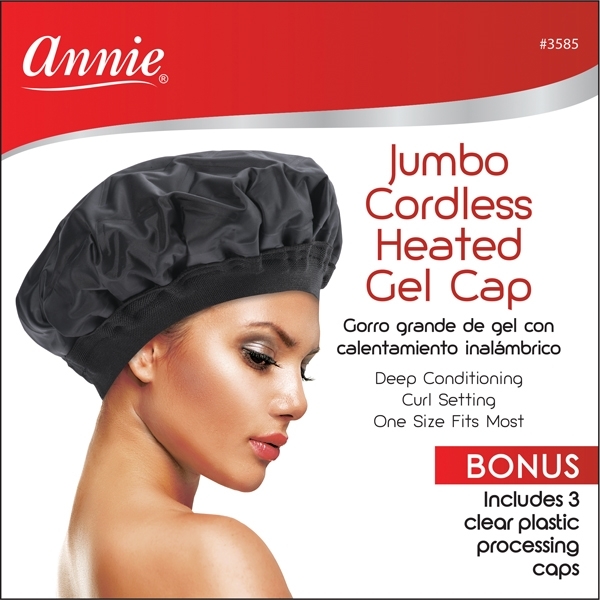 2) Gel cap is cordless and does not require any electrical outlets or batteries. The cap warms up by placing it in the microwave for 45 to 60 seconds, and heating it up to the desired temperature. Keep gel cap at a warm temperature, NOT hot.